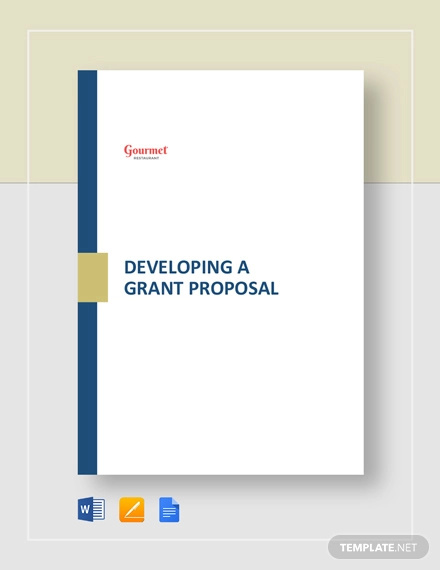 Developing a non-profit grant proposal budget requires specific skills. This is not just a typical proposal, your grant proposal should demonstrate your qualifications to perform the job and finish the proposed project. Your proposal should also be convincing enough to show that it is fundable. Abstract. This involves writing the description of your proposed project, the name of the entity whom you are submitting for, the beneficiary of your proposed project, the reason why it should be funded, your plan of doing the project, and the cost of the project. Table of contents. The list of all parts and divisions of the proposal. Including illustrations, chart example, tables, and graphs. Introduction. A brief overview of the goals of the project, the timetable and background information to suffice the knowledge of the reviewers. Project goals and objectives. This section outlines what the project hopes to accomplish and the plans to do it. Activities. The task or activities that must be performed to achieve the goals of the project. Personnel. Facilities, and Budget. The workers and their salaries, materials, resources, project evaluation, equipment and indirect cost. Evaluation. The evaluation plan is used to achieve the project smart goals. Before you go any further or submit your proposal template, create a draft proposal first for the proposal that you think is worthy to be funded. The executive summary. Highlight the main important points of your proposed project and what it can do to the beneficiary. The statement of needs. State the needs of your project plan. Including the funding, support, resources, etc. The project description. What your project is all about. The budget. How much the project cost. The organizational information. Including the expertise of your organization o accomplish this important task. Here are effective tips to help you in developing a grant proposal. Conduct a research. Doing a research about your proposal and project will help you find the perfect funders to finance plan of your project and partner your organizational work. Provide a logical solution to a problem. Your proposed project and your solution to the problem must make sense to the funders. Go directly to the point and tell them what you exactly plan to do. Convince the funder that you know what you are doing. Your grant proposal should show that you have a clear understanding of your proposal and you have the expertise and qualifications to achieve the project. 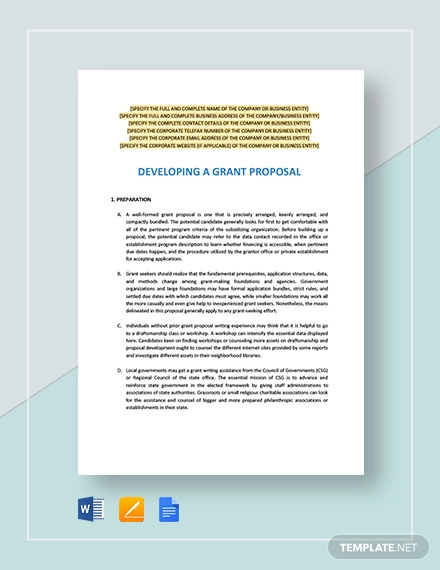 You can also check out ourfree proposal examples to help you in developing a grant proposal.